Springs Creative is a supply-chain business in the textiles industry – a leader in the innovation side of textiles. When RevenFlo joined the team, Springs Creative’s web presence did not communicate their industry leadership in innovation. So, we worked first on the company’s brand. We determined that “Innovations in Textiles” most clearly and compellingly captured the new category in which Springs Creative is a pioneer. This makes them the global leader in a new category – the Innovation Slice of the Textile Industry. 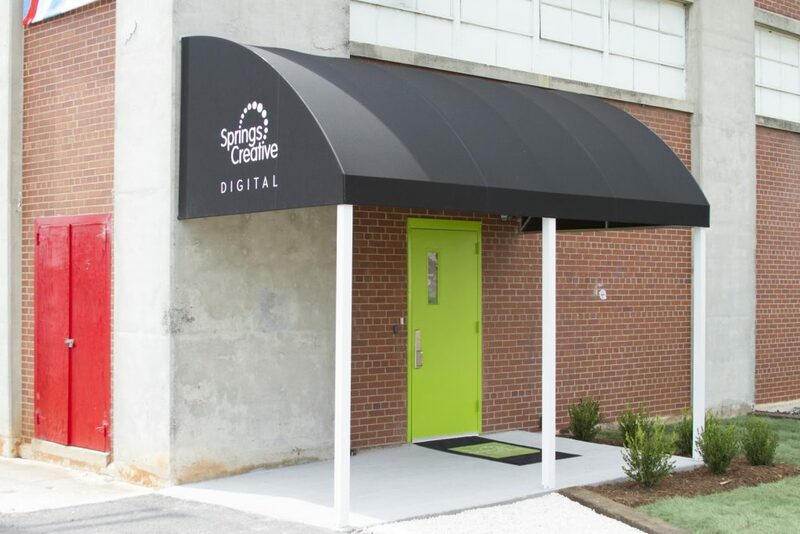 Springs Creative is the descendant company of Springs Industries – the global textiles giant of the late industrial revolution. We used the energy of the past colliding with the future to define much of the work around the brand. View SpringsCreative.com. The Baxter Mill Archive is a vault of over 350,000 vintage textile designs dating back to the 1850s. The archive sits in the center of the Springs Creative building in Knowledge Park Rock Hill, SC. As an extension of the story of Springs Creative, we wanted everyone to know about this incredible asset. We also wanted to monetize the archive through digital printing and other services. As we improved the corporate presence to support their positioning as a leading wholesale and sourcing company, we also enhanced the presentation of their services. We helped Springs Creative present their services in a way that stayed in line with their corporate brand, but also offered the opportunity to generate leads for those services to develop them into independent revenue streams for the company. Ultimately, we helped Springs Creative get their house in order for their Corporate/Wholesale/Sourcing Business, as well as for their Creative and Technical Services. A good project with a good outcome.